Canada is the world’s 14th largest producer of silver, the 4th largest importer of silver, and one of the world’s largest sources of high-quality silver bullion and silver coins. Almost every silver investor buys silver coins struck by the Royal Canadian Mint. They’re well-known for their artistry, silver purity, and anti-counterfeiting measures. Canadian silver coins are a popular option for seasoned and amateur silver investors alike. 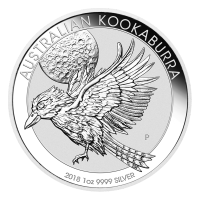 Whether you’re just getting started or adding to your silver bullion holdings, you can safely invest in silver by buying Canadian silver coins. How Much Are Canadian Silver Coins Worth? Canadian silver coins are silver bullion investments. 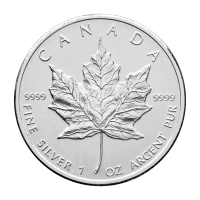 A Canadian Silver Maple Leaf may have $5 stamped on it, but that coin contains 1 oz of silver, which means it’s worth the price of silver when you trade it. 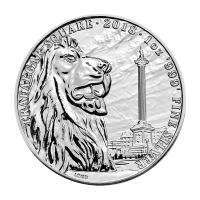 When you buy silver coins from anywhere in the world, typically you pay the spot silver price plus a premium. Canadian silver coins are known for their low premiums over spot. Check silver prices regularly to find out what your silver holdings are worth and when it’s a good time to buy silver. The silver price can be volatile, so if your goals are long-term value, don’t be alarmed by day-to-day fluctuations in the silver price. Opened in 1908, the Royal Canadian Mint was a major stepping stone for a country that had previously relied on currency struck in England. The Royal Canadian Mint’s flagship silver coin is the Silver Maple Leaf, a silver coin with 9999 purity that’s highly regarded across the world. It’s one of the world’s best-selling silver coins; in fact, the Canadian Silver Maple Leaf is second in sales only to the American Silver Eagle. The RCM is also well known as a leader in anti-counterfeiting measures. In 2015, the RCM launched its Bullion DNA Anti-Counterfeiting Technology. It’s a countertop device that allows gold and silver dealers to verify bullion coins immediately in store. The device reads a security mark that’s been micro-engraved on Silver Maple Leaf coins. It converts the security mark into an encrypted digital code and matches it to the die used to strike the coin. When you buy Canadian silver coins you can expect that the most sophisticated anti-counterfeiting measures have been taken. Canadian Silver Maple Leafs were first introduced in 1988 as silver bullion coins meant for the investment market. 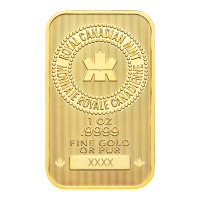 In addition to striking circulation coins, the RCM also mints bullion products like gold and silver coins and bars, and collectible silver coins. The Silver Maple Leaf is known for its exceptional silver purity and low premiums, making it an attractive silver investment. 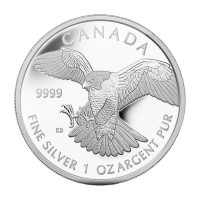 In addition to the Silver Maple Leaf, the Royal Canadian Mint also strikes collectible silver coins like the Birds of Prey silver coins and Wildlife Series silver coins. These series feature exceptional artistry and celebrate Canada’s natural heritage. Silver coin collectors from across the world buy silver coins from the Royal Canadian Mint that belong to special series. 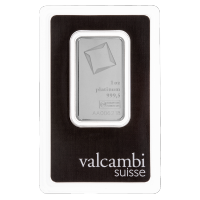 Silver is an ideal long-term investment and silver coins and silver bars should be part of any investment portfolio. 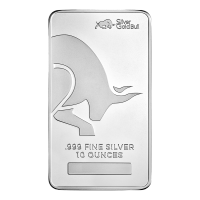 Silver bullion is also eligible for your RRSP and can be used to diversify your RRSP, TSFA, and LIRA. 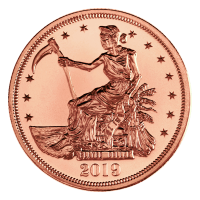 Silver coins are effective inflation hedges and silver bullion is a “countercyclical investment,” which means it has a history of performing well while stocks and other investments are on the decline. Diversify your portfolio by investing in RRSP silver to add security to your retirement savings. Savings put into silver coins are here to stay.